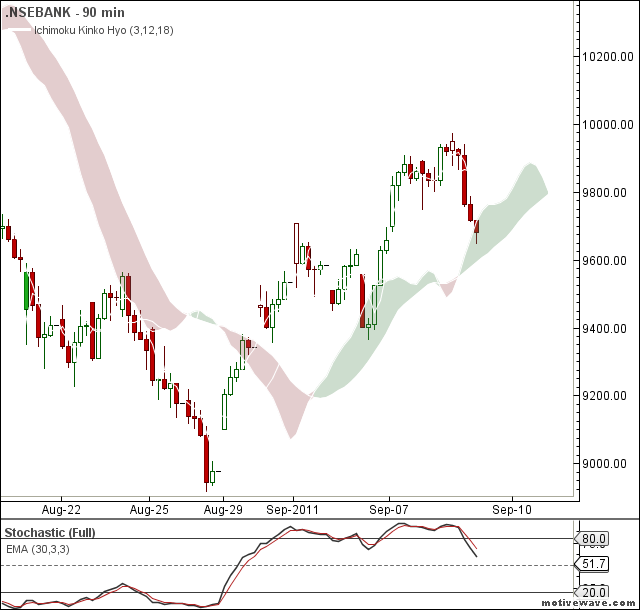 Nifty and Bank Nifty 90 min charts are at cloud supports 5037 and 9610 respectively. 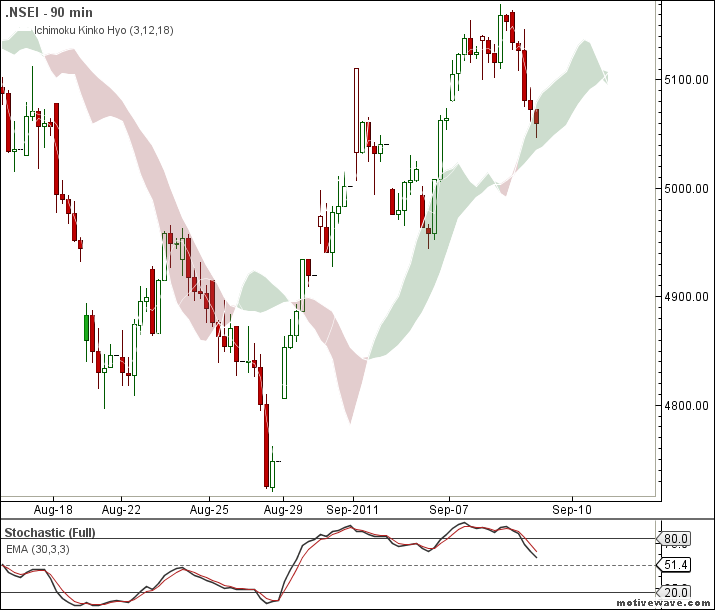 Yesterday once again Nifty and Bank Nifty had tested the cloud supports and trading very close to the cloud supports. convert your longs into shorts if the suppport breaks with stop loss above the ichimoku cloud.